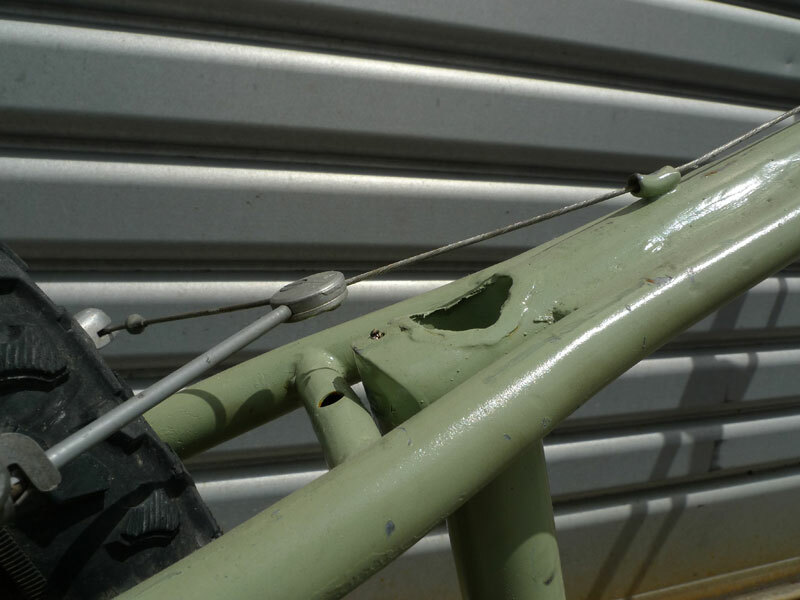 After watching that ridiculous Danny MacAskill video, I decided to make a quick and dirty bike copy, and learn some welding skills. 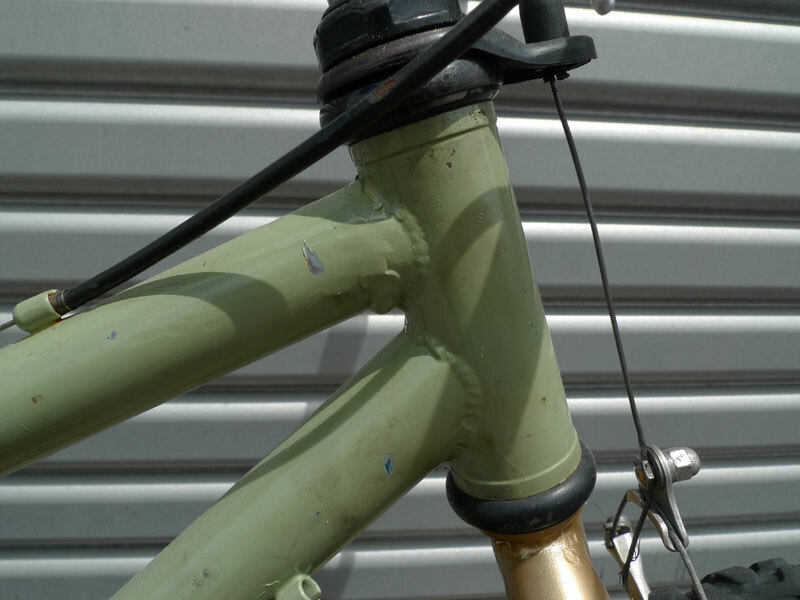 I brought a really cheap mountain bike online and with the excellent help provided by Nick Gill proceeded to chop it up and rebuild and weld it back together. 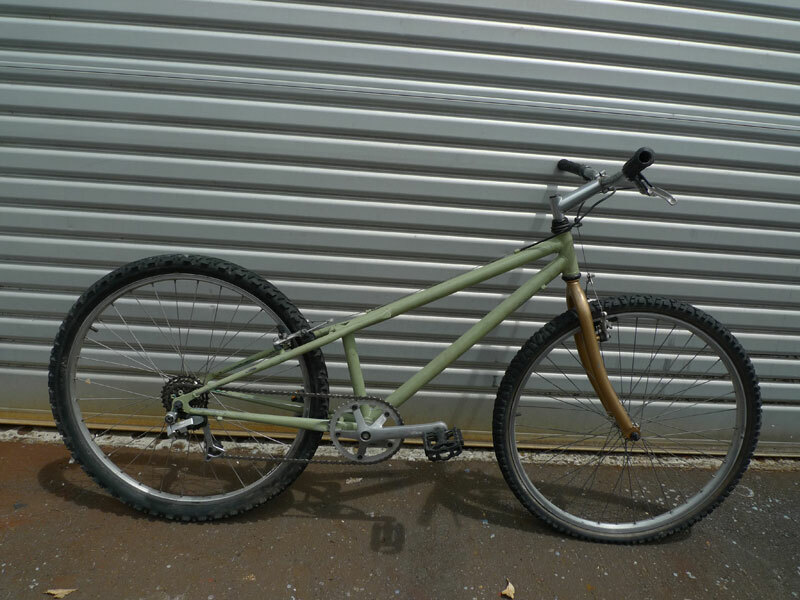 It rides ok, but the geometry is all wrong and it doesn’t pop the front wheel very well at all…. If I can find some straight forks, it might solve some of the issues, but really it needs wholesale change. 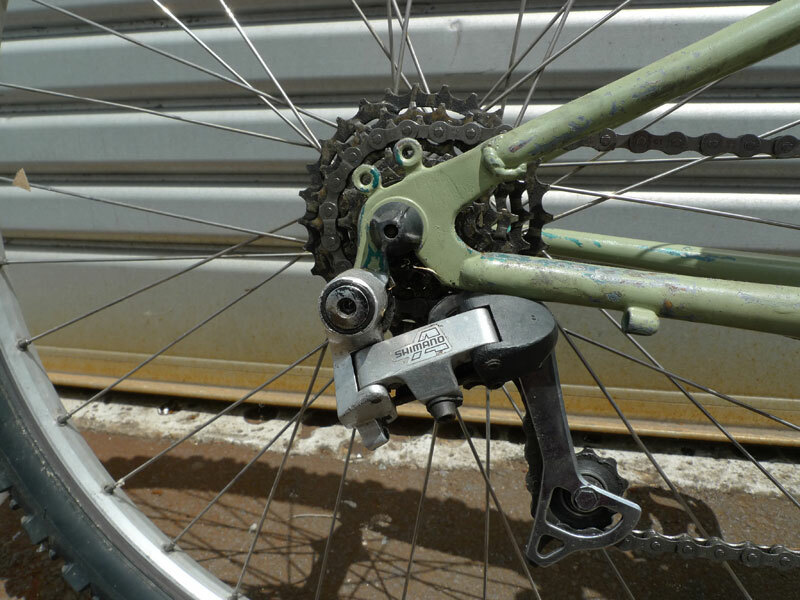 Never mind the brakes and derailleur – they were just from the donor bike – it’s a one gear machine! 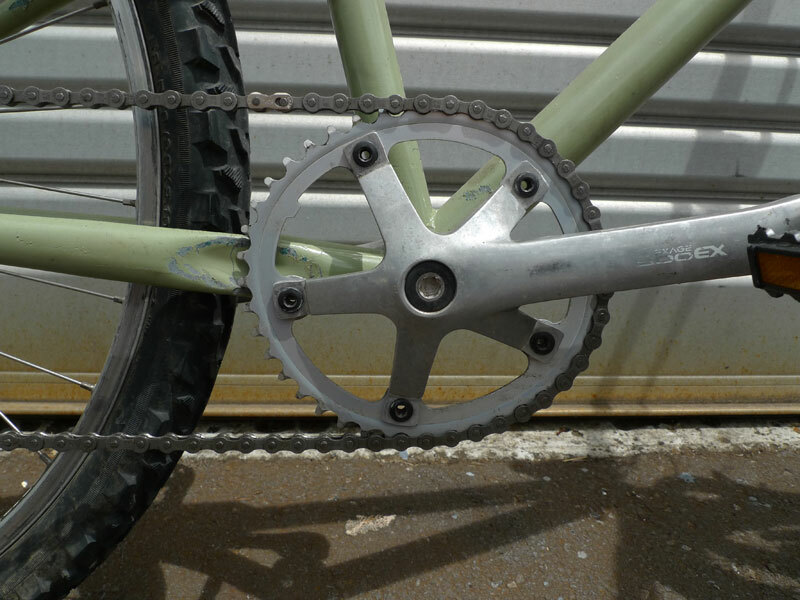 Garnish with the spraycan colors from the shed and an elliptical triathlon chainring, and you get……well, rubbish really…. but it was great fun to make. Next time, I will make the whole thing except for the crankcase and headset with aggressive geometry. And a seat – there is this psychological need for one…. Thanks to Nick Gill for the great help on this project!